On August 13, users can score an incredible 99% off the hottest electronic products including the Apple iPad, XBox One S, Xiaomi Redmi 6A and many more! To make online shopping quicker and convenient for all users in the Philippines, Shopee, the leading e-commerce platform in Southeast Asia and Taiwan, is launching credit card payments on August 13. On the same day, Shopee will also celebrate going cashless with the grand launch of Shopee Gadget Zone, its new in-app portal featuring Lowest Price Guaranteed on a diverse assortment of premium tech products from top brands. Shopee users can enjoy 15% discount when paying with credit card up until Sept 8. In addition, credit card holders from banks including the Bank of Philippine Islands (BPI), Citibank, Philippines Savings Bank (PSBank), Philippine National Bank (PNB), Robinsons Bank, and Maybank can enjoy 15% off on Shopee’s Bank of the Day promotions starting August 20. Pay by credit card to save even more at grand launch of Shopee Gadget Zone! 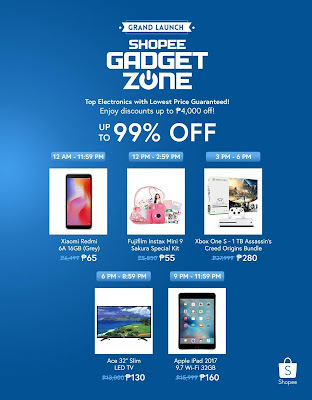 At the same time, the grand launch of Shopee Gadget Zone will feature superb deals across four electronics categories, namely TVs, mobile phones, laptops and tablets, and tech accessories. Users can enjoy Lowest Price Guaranteed with up to 99% off a wide assortment of premium products from leading brands including Apple, Samsung, Philips, and many more. To offer users even more incredible deals, Shopee will also run five exclusive flash sales on August 13 with a mind-blowing 99% off dream electronic products including the Apple iPad, Xbox One S, Xiaomi Redmi 6A and many more. 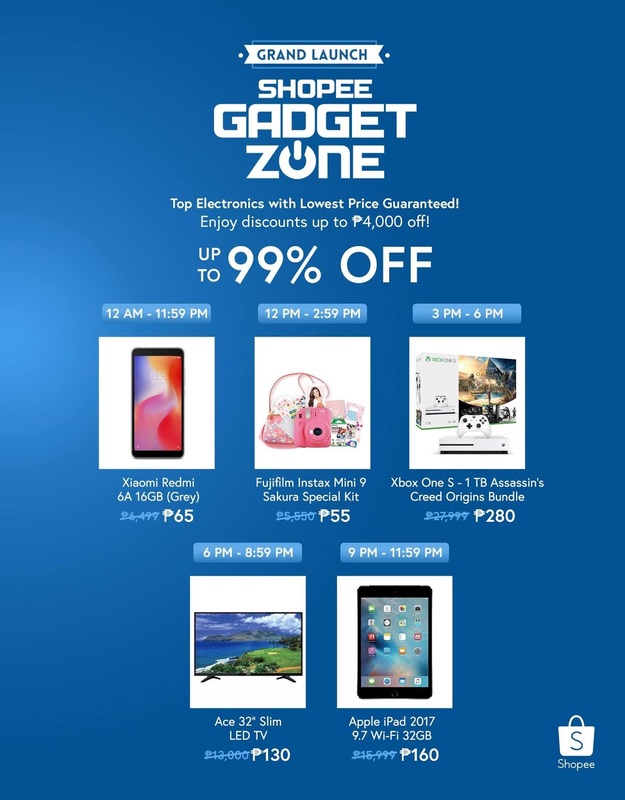 Shopee Gadget Zone is Shopee’s dedicated in-app portal devoted to all things tech, featuring different tech products from TV, tablets, accessories, consoles and mobile phones from leading brands like Samsung, Oppo, Vivo at Lowest Price Guaranteed. Users can also find the newest flagship phones in the market like the Samsung Note 9, Oppo F9 and Find X, Honor Play and the hotly-anticipated Xiaomi Pocophone F1. In addition, Check out #ShopeeGadgetZone to see who’s joining the hype on the most exciting tech sale ever! 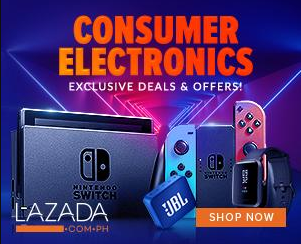 In addition to the launch of credit card and the grand launch of Shopee Gadget Zone, Shopee will also be holding its monthly Orange Day sale from August 13 to 15 featuring waves of flash deals across different categories, ₱80 deals, all day vouchers, exclusive bundles with up to 90% discount, and 72 hours of free shipping. For more information, visit www.shopee.ph Download the Shopee app for free on Apple App Store or Google Play Store.